Compounding Little Income Streams to make Bigger Income Streams. I’d like to go over Decembers earnings and how Compounding Little Online Income Streams can help to form Bigger Streams of Income. This post is meant to encourage those having a hard time with making money online, by seeing how it’s working for me. Decembers income report is much better than the last one I put up, about $450.00 better than the last one. The last one was around $800.00. Again the total of all these is $1,294.78 which is pretty darn cool if you ask me, it’s gone up about $400 since my last earnings report, that I actually took down a while ago. Compounding effects of little income streams. In Yaro Starak’s Blog Mastermind Program, which I am enrolled in, he talks about compounding: “The traffic secret that every blogger knows is the power of compounding.” I am now seeing the effects of compounding this month and I’ve only been doing this for about 7 months now. I think Iam doing pretty good considering I have been totally flaking on a couple of my blogs. I have several blogs I run, most of which are hobby related and stuff I am very interested in. I know some people do blogs on topics they could care less about, but I just can’t do that. I have to have a passion in order to write about something, otherwise people will see right through me and know it’s fake. So above I have 6 different little income streams. Each one alone, is not much money, however the effect and power of all of them together is worth $1,294.78 per month to me. That’s most of my rent payment right there. In today’s economy my day job is going downhill. I am an IT consultant and I manage 6 different companies networks and computer systems. Several of those companies are in debt to me by 3+ months, and I haven’t been paid in those 3 months by them. That’s several thousand dollars that I am out each month and needed to supplement that somehow. Where and How I started. I got my start accidentally through Ebay. I sell Hellraiser Puzzle Boxes on Ebay and I was also interested in Costume and Vintage Jewelry. I educated myself on the jewelry and I make and sell the puzzle boxes on Ebay. I realized when things weren’t selling that well on Ebay lately, that somethign was terribly wrong. That’s about when I realized the economy was going downhill fast and I needed to find a way to supplement. 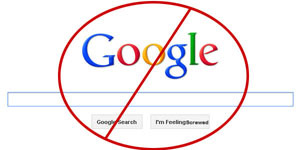 I started looking around, bought a couple things, several bottles of Snake Oil as I was still learning what’s legitimate out there and whats not, and that’s when I stumbled upon Blog Mastermind, For Desperate Buyers Only, Niche Profit Classroom and Confessions of a Lazy Super Affiliate by Chris Rempel. 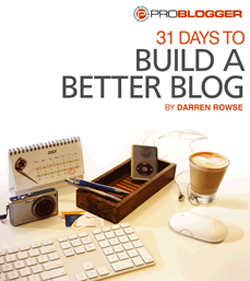 I also stumbled upon 31 days to Build a Better Blog which is the best 19.95 I’ve spent on a product in a long time. If you want to learn about blogging and making an income, I suggest reading that. If you’ve got $97.00 a month you can spare for 6 months, then I Highly Suggest Signing Up for Yaro’s Blog Mastermind. That is a COMPLETE course in and of itself and I highly recommend it. If you don’t know anything at all about Blogging, what it is and isn’t, then I would suggest checking into Yaros “Become a Blogger Course”. This will teach you what is blogging, how to set it up completely and how to star blogging and make your first money, even if you have NO CLUE about blogging. Optimizing what I already had going. I had been running a dating service for people with a certain health issue for 13 years, when I started blog mastermind. I was making some money with it monthly, but not as much as I am starting to make now. In the blog mastermind forums you will meet all kinds of people willing to help you out for free. They are all in there for several reasons, to make money, to learn more about making money online, and helping others make money online too. I found a few people who helped me to look at my dating site, optimize the keywords to pull in more traffic and helped to optimize the contextual advertising on the site to bring in more money from that as well. This was about 4 months ago and I posted about the site and my findings. It’s been 4 months now and the income from the site keeps going up a little bit each months, as does the income streams from my other little streams. The Most Supremely Ultimate Important thing. The most supremely important thing I’ve found about all this making money online stuff is being consistent. Through consistency we built discipline, and through discipline we are able to push through the times when we feel like giving up, and putting the blog down. I hit a little bt of burnout a few Weeks or months ago, as I have been doing this on several blogs for a little while now. Through consistency I have been building traffic which is the other most important thing about making money online. Traffic Traffic Traffic. Without it you have NOTHING. It is where all sales are generated and where all word of mouth comes from and all incoming links come from. If you don’t believe me, try selling something to nobody. Then you will understand the importance of Traffic! That and good content. I have to have a passion in order to write about something, otherwise people will see right through me and know it’s fake. That is so true, Larry! I feel the same about this. I just wonder how people cope with keeping all those different sites, because you have to write posts, don’t you? I have already enough trouble writing regularly on my blog, let alone managing several. And you indicate it already; consistency. But what if you are a freelancer and you have irregular assignments? Any suggestions? .-= RudolfB´s last blog ..S3 Amazon: Protect files against unauthorized use =-.